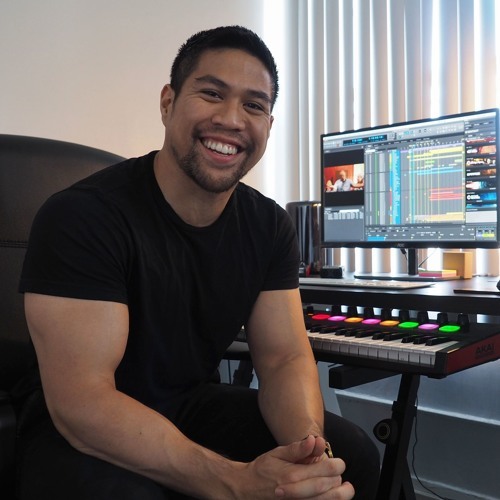 Composer Tan Onwimon turns film scoring into a beautiful art. Tan Onwimon is one of the leading and progressive composers of our time. The craftsmanship behind much of Onwimon’s work is like an illustrator of sound that uses musical landscapes to paint moods and visual concepts upon the hearts of his audience. Onwimon’s journey into film scoring and soundtrack music began when he was eighteen years old. During this youthful age, he joined a film school in Bangkok with the hopes of becoming a famous director or screenplay writer. Onwimon’s interest in film would soon change after scoring music for several of his classmates’ films, including his own. Onwimon’s newfound passion led him to Boston to study Film Scoring at Berklee College of Music in 2014. Since this time, Onwimon has worked on numerous projects and gained a strong reputation for the dexterity of his work. Onwimon’s genius can be seen in several of his recent projects. For example, his work as music composer for the Tipitaka: The Living Messages, a film by Documania, carries a strong sense of professionalism to what would prove to be an invaluable aid to the overall production. Onwimon’s orchestral arrangements offer a moving backdrop to the films overall mood and its vital message. The Maestro by Thanika Jenjesda proves itself to be another remarkable work that involves Onwimon’s skill as a composer. The Maestro is a dramatic short film about an Italian composer, who is confined to his apartment after a car accident, which limits his musical ability for some time. Tan Onwimon teams up with fellow composer Pantawit Kiangsiri in the creation of the perfect symphonious landscape upon which The Maestro dwells. USB by Jake Zhang is a spectacular animated short that is completely reliant on Onwimon’s vision as a composer. The dialogue of this animation centers on the movement of the characters and the structural changes in the musical composition that Onwimon has constructed. Onwimon offers one of the greatest examples of film musical scoring in this epic presentation. Tan Onwimon ‘s discovery of his hidden talents has proven to be a benefit to both the world of film and music. Onwimon’s love for the arts is a compelling example of what can be accomplished by someone who takes pride in their work for the benefit of human society.